Who doesn’t remember the song “California Hotel” by the Eagles. 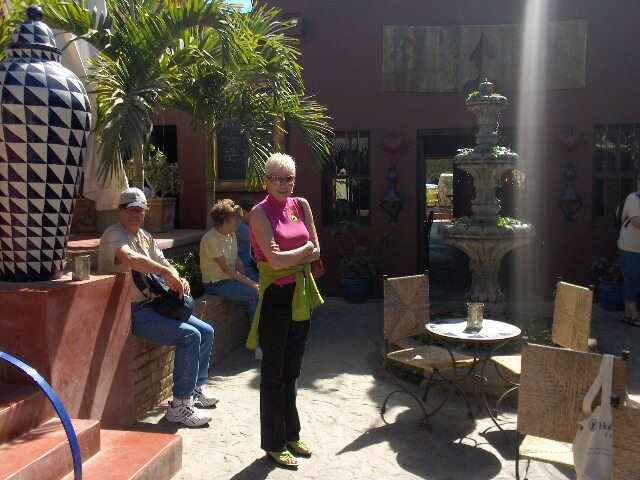 Well, it turns out the California Hotel they were singing about is in a town called Todos Santos in Mexico. And the cruise ship has excursions to go see it. We, of course, signed right up. 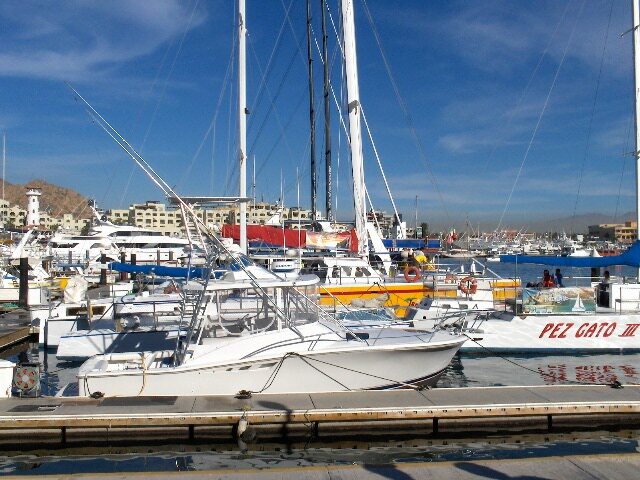 Cabo San Lucas is a tender port, where you have to take small boats from the ship because it doesn’t have anywhere to dock. They use lifeboats for the tenders. 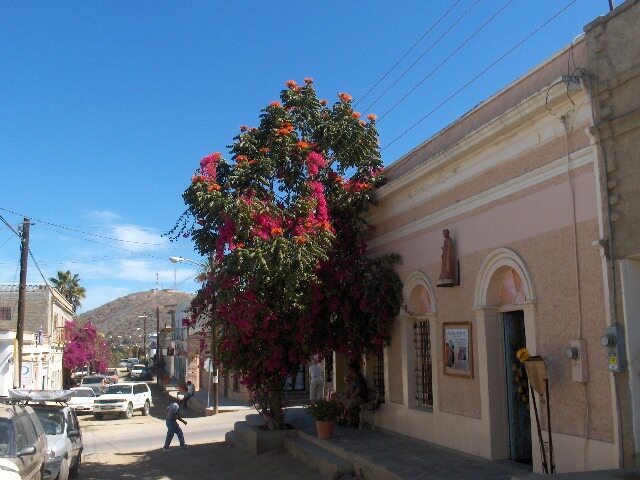 To get to Todos Santos, a quaint little artist town, requires a bus ride lasting about 1-1/4 hours. 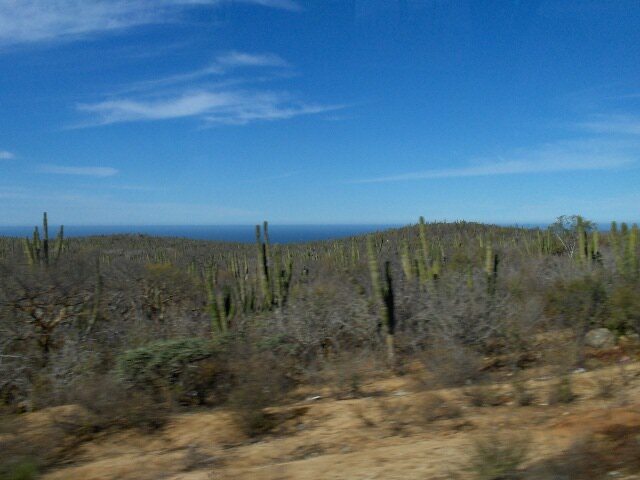 The bus ride takes you from the Cabo side of Baja to the Pacific side. The town is chuck full of artist galleries with all kinds of unique pottery, paintings, jewelry etc. 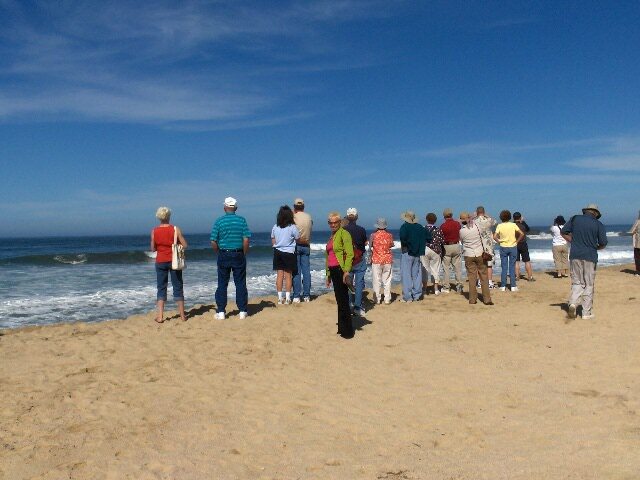 Our group took a short walking tour of the town which was interesting, and then it was off to the California Hotel of Eagles fame to have lunch along with some Margaritas… it was a hot day! After lunch we made a few purchases of pottery and jewelry for gifts back home. Kathy told me the prices were very reasonable. I wonder what that means? 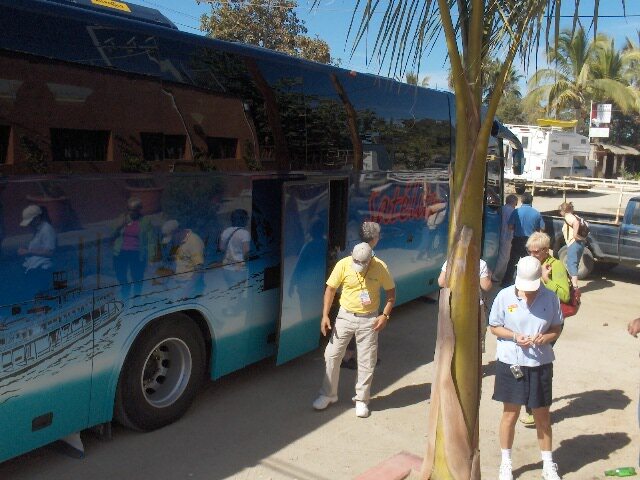 Here are some photos of our time in Cabo and our shore excursion to Todos Santos and the California Hotel. OK... This is it. 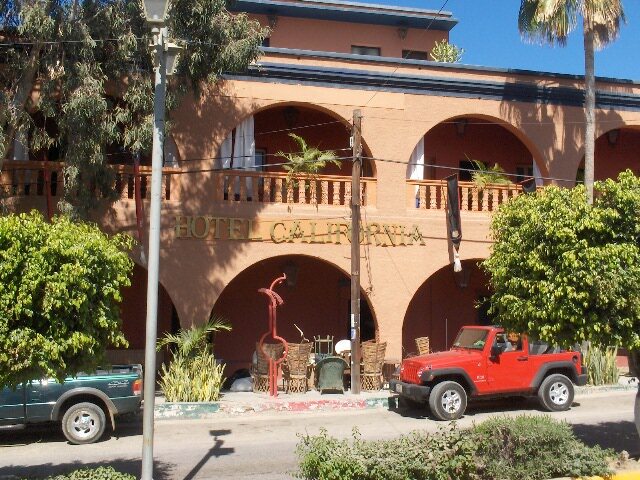 The California Hotel.